Accommodations, clearly not sucking. Vail knows how to treat you right. On the road again! 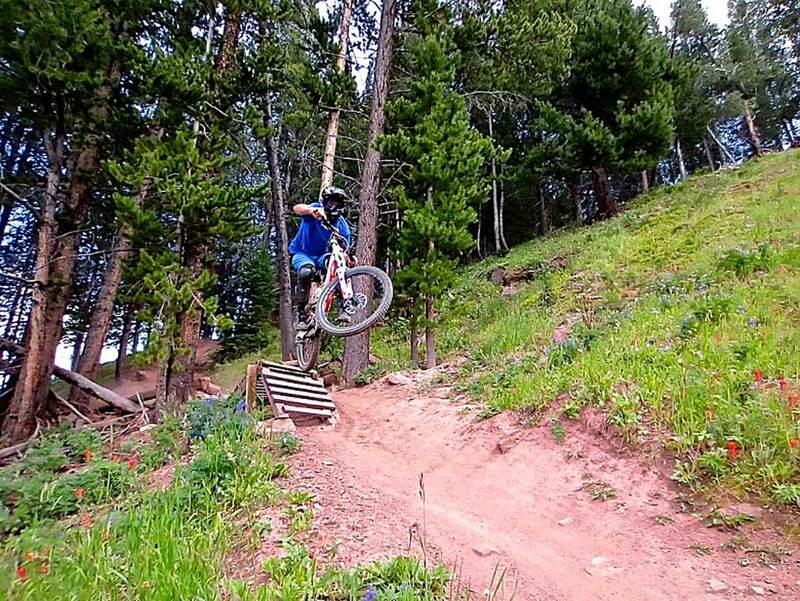 This time we stopped off at Vail, Colorado's bike park. We went there last year and decided, since we were passing through the area, we'd give it another go. Last year on the tour, we were hooked on Magic Forest, a double black diamond trail that suited our desires to get vertical. But, this year, we set our sites on PMT, another black diamond trail. However, this time around, we were met with multiple mechanicals and strange weather patterns that amped up our frustrations. Sometimes, that's just the way it goes. We are too familiar with things just not going with the flow this summer. Our first day at any bike park is the same, move out of the camper, move into the condo. It's kind of like moving in and out of apartments minus the furniture. Many of our friends think that this whole process sounds great, but when your camper is too tall to fit in the entrance of the condo, trust me, it makes for a LONG day. Getting our rig close to any condo or hotel is often a long shot. Typically, our first day at any new location is spent moving in…On occasion, we get to ride that same day. This was not one of those days. We have the usual: clothes, gear, bikes, helmets, dog, dog food, cameras, camera's gear, our food, a cast iron skillet, and cases of Alaskan Freeride APA. Good thing we don't have furniture! 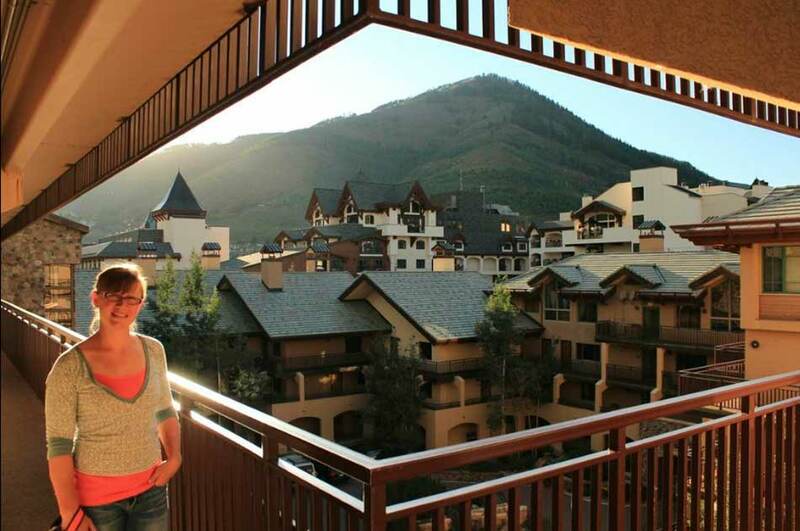 Visiting Vail Resort two years in a row now, it has not let us down with hotel accommodations. This year they put us up at The Antlers. 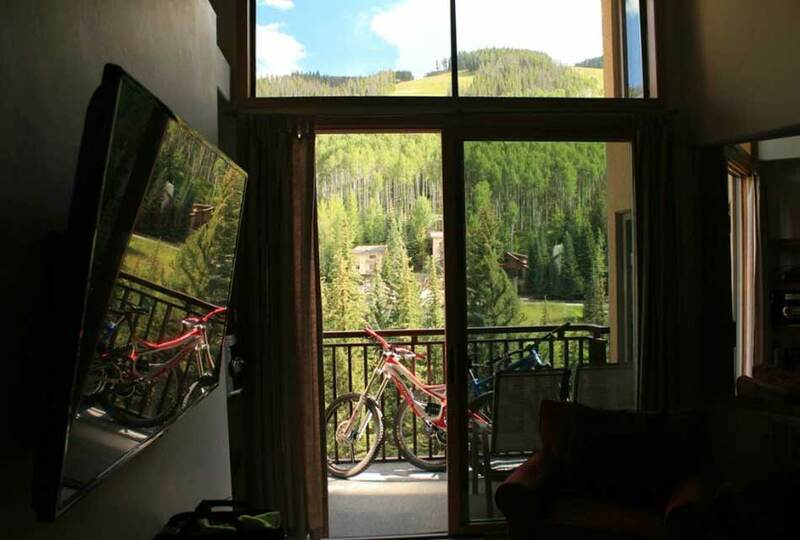 We were on the 7th floor in a corner suite overlooking the bike lifts. Does it get any better? We think not. After we managed to schlep all of our belongings from two blocks away, up some stairs, a ride up the elevator, down some halls, and we were there! Home sweet home for a few days, anyways. We were stoked to get out there and ride the next day. We woke that morning, all seemed good, we geared up, and away we went up the gondola. On the lift, we saw a train of pre-teen girls coming down a blue rated trail in flip flops with no gloves, but thank goodness for the brain buckets. Hum…did they crash, um, yes. We can't help but ask the question, "Did your parents let you out like that on a mountain bike?" And, not to bash on the many bike parks who only "highly recommend" gear and armor, but….Really?!? We got off the lift and headed to Radio Flyer, a blue trail, for a warm up. At a resting point, we witnessed a young boy and his dad riding down a fire road. The dad was screaming "BRAKE! BRAKE!" and the young boy was screaming back "I CAN'T!!" This kid aimed his bike right for a wooden pole in the ground, he was stopped cold in his tracks, ejected from his bike, and face planted on the ground right in front of us! It was one of the most gruesome things we have ever seen. However, aside from crying, he seemed totally fine! Okay, visions of carnage behind us, we decided we were ready for a Magic Forest run. We made it about half way down the trail when Natty's derailleur cable snapped. We sighed and rode it out. We went to a local shop and met Francis, a very friendly bike mechanic at Vail Sports. He hooked us up with a cable and we were on our way, or so we thought. We stepped outside to a black sky with the lifts shut down due to lightning in the area. Just wasn't our day. Nor, was it a good day for those riders that we witnessed crashing all over the mountain. Day two, we set out nice and early. We were ready for a fresh new start. First run up the mountain and Trey's derailleur cable snapped. But he didn't care he was going to ride it anyways. Then, half way down the mountain, the spring in his derailleur broke, causing his chain to bounce violently. We needed to fix it super quick, if we were going to ride anymore, on that day. So, we walked and shop-hopped all over the village, and called around to different stores in the area looking for a 9-speed derailleur to replace the one that broke on Trey's bike. Apparently, 9-speed isn't just a dying breed, but something closer to an extinct breed. NO LUCK! So that was it, the end of our run at Vail. It was a very sad to say the least. But, sometimes that is just the way it goes. Two runs the first day, and only one run the second day. We did learn a few things from the bike mechanic at Vail. He told us that the mountain has a new trail manager, named Mark Hendrickson. Some of you may recognize that name from Mammoth's mountain bike park in California. 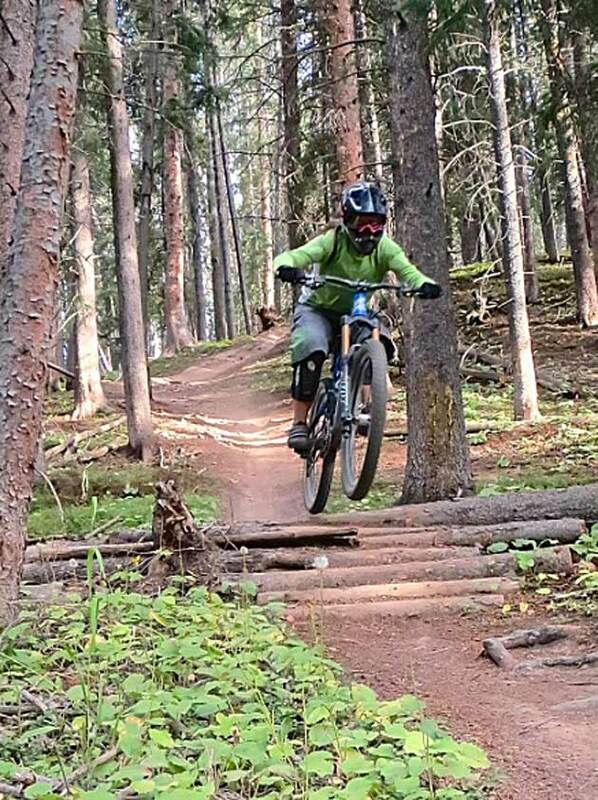 He is now working for the bike park in Vail. We expect big things to come from Vail in the near future. 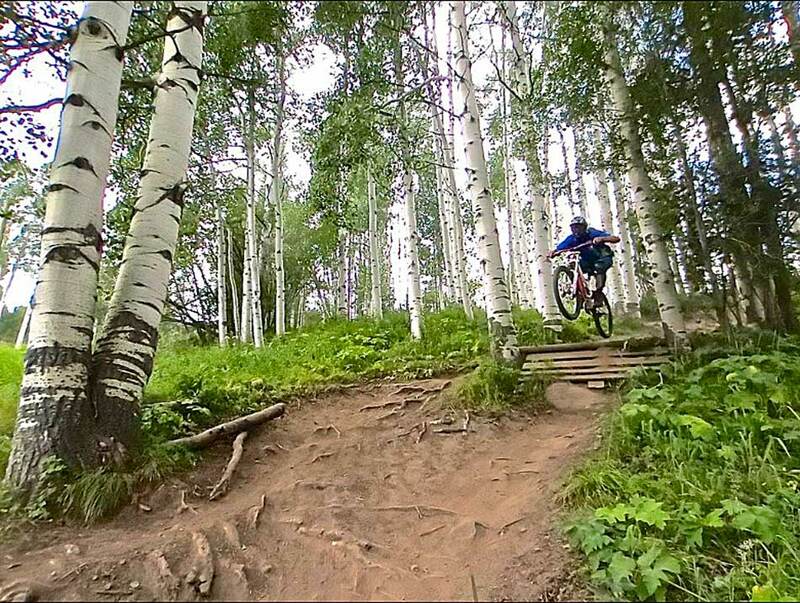 Vail has a lot of potential for amazing trails. With the right people on board, it can only get better!